I'm looking to get into riding a dual sport. 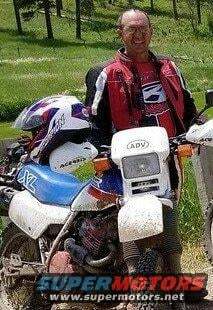 Many years ago (early to mid 90's) I used to do some off road riding and loved it. I have a street bike but it's time to get a second bike and find the trails around here. Currently I'm looking at purchasing either a CRF250L Rally or a WR250. I will have my new bike hopefully in the next couple months. On second thought, I'm not sure the "f" model is a ready to go "dual-sport." Hope you find the bike you're looking for. No shortage of trails in the Hills.